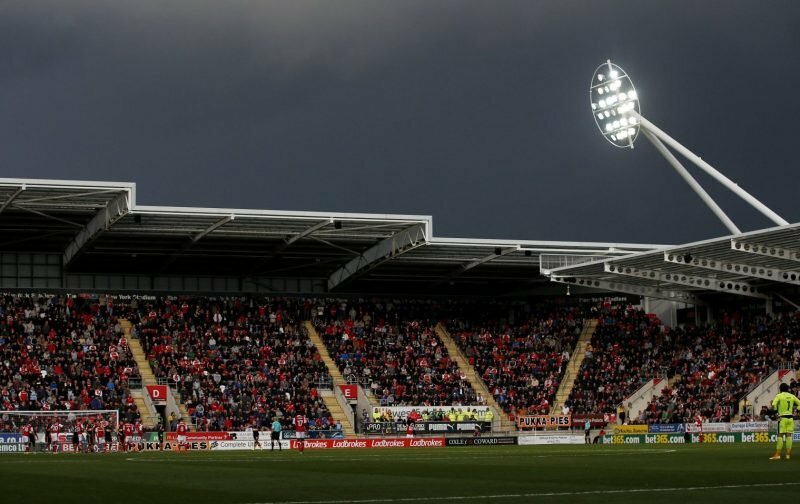 Rotherham United got their second two-all draw at home within three days when Queens Park Rangers got a late goal to get a point at the New York Stadium. The Millers bench was a player light with Kyle Vassell getting a late injury and not risked. Rotherham started well and on six minutes when some good work down the wing from Jon Taylor saw him get the ball to Richie Towell who in turn laid it off toWill Vaulks at the edge of the area and the skipper’s clean strike flew past Rangers’ ‘keeper Joe Lumley and settled into the right-hand corner of the net. Three minutes later Millers’ ‘keeper Marek Rodak saw his first action of the game when he punched away a Nahki Wells shot. But he couldn’t do anything on twelve minutes when some kamikaze defending ended with Ryan Williams making a hash of his clearance with the ball falling to Wells who said ‘thank you very much’ and slipped the ball over the line. Three minutes later the Millers went in front for the second time when a superb Vaulks free-kick was headed home across goal and into the net by Clark Robertson. The first yellow of the game went to Jake Bidwell for a poor challenge on Williams with Matty Palmer’s resulting free-kick being taken off the head of Semi Ajayi and put to safety. Toni Leistner had to be alert when a pass from Towell found Michael Smith before a Bidwell cross up the other end found the head of Wells but he couldn’t direct the ball towards goal. Just after the half-hour mark more good work from Towell found Taylor in the box who did well to control the ball before turning and putting it just over the crossbar before Ajayi had a chance which he sent well wide. Pawel Wszolek saw yellow for a nasty foul on Matty Palmer after the ball had gone followed by some nice running from Taylor to get to the back post but a cross from Ajayi was cut out before it reached him. After getting the better of Bidwell twice Williams was clattered to the ground by the defender with a Palmer free-kick having to be punched out by Lumley. As the board went up for three extra minutes the visitors got a free-kick in a dangerous position but the wall did well against the shot from Eberechi Eze with Joe Mattock getting the ball away. The Millers started the second half well with Jon Taylor causing problems and after Richie Towell won a corner, Matty Palmer’s set-piece was taken off the head of Joe Mattock at the back post. Pawel Wszolek brought Taylor down who needed treatment. A good cross in from Zak Vyner was put behind by Joe Lumley before Michael Smith could get to it with Palmer putting the corner over the crossbar. Vyner was in action again minutes later when he did well to clear the ball from a corner. The first substitution of the night saw Jon Taylor limp off and Joe Newell take his place. With twenty minutes to go an inviting cross from Luke Freeman saw Wszolek given much too much space but the Polish winger failed to get to the ball which would surely have been a goal. Richard Wood is the next Millers player to come off the bench with Matty Palmer making way for him while Pawel Wszolek is replaced by Tomer Hemed for the visitors whose first action sees Marek Rodak get down well from his shot. At the other end Williams won a corner which Newell took and Wood put inches over. Rangers made their last two subs bring on Josh Scowen for Massimo Luongo and Matt Smith for Nahki Wells. Semi Ajayi had a chance from outside the box which went high while a header from Wood found Mattock who saw his shot saved. On the eighty-second minute Rodak brought off a fantastic save to dive across the box and put a shot from Freeman behind followed by a strike from Eberechi Eze also been superbly saved by the Millers’ ‘keeper when it looked like it was going in the net. Jamie Proctor replaced Ryan Williams for the hosts with five minutes left. Scowen and Matt Smith combined well but Vyner was there to put the ball to safety before Rodak did well a minute later to get down to a shot from Scowen. As the clock ran down to the ninety minute mark Queens Park Rangers scored their second after a cross from Bidwell found the head of Freeman who put the ball past a diving Rodak into the net. From the re-start the Millers went down the other end and only an excellent save from Lumley stopped Proctor getting on the score sheet while Joe Mattock saw a header go just wide. Another home game another point gained but should it have been three? Again we had chances and again we didn’t take them but it was some pretty dire defensive work that I think let us down this evening. Ah well, onward and upwards and a trip to top of the table Norwich awaits us this Saturday.